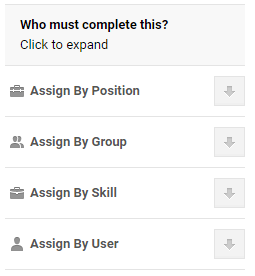 Check a 'Position' and all staff assigned to that 'Position' will be assigned to the topic for completion. 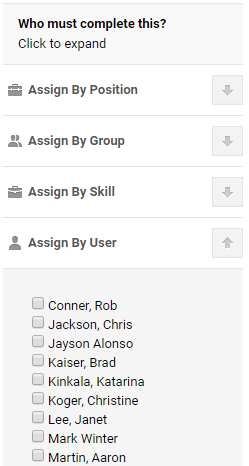 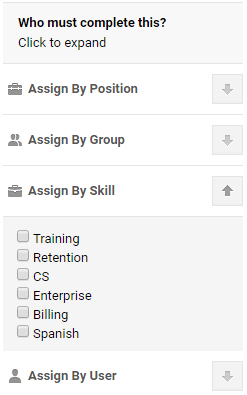 Assigning by group allows you t assign the topic by user's permission levels e.g. 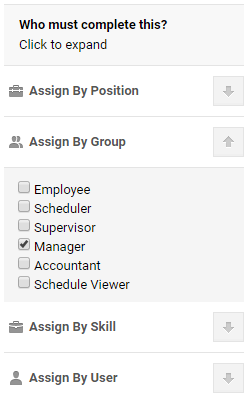 Manager, Supervisor, Scheduler, and Employee.